Deadpool quickly became a fan favorite after its theatrical release. The strong chemistry between Ryan Reynolds and Morena Baccarin, the off-beat humor and the continuous fourth-wall breaking made Deadpool a delight to watch. In fact, it gave the X-Men movie franchise a shot in the arm it desperately needed. A sequel was quickly announced and despite Tim Miller not returning as director it appeared to offer everything a sequel should. While the movie is very good, and very funny in an offensive way, it is not AS good as the original. Somehow, the sequel misses that particular mark. Already in the first scenes you get the sense the creative staff is trying too hard to emulate the first movie. Deadpool (played by Reynolds) tells in flashbacks why he is trying to commit suicide. Apparently Vanessa (spoiler alert) dies when thugs try to kill Deadpool at their apartment. Already I felt cheated, as I knew the rest of the movie would be devoid of their banter. Instead, Deadpool is effectively alone for the first half of the movie. He is angry, morose and utterly suicidal. After trying to join the X-Men Deadpool is instead sent to a mutant prison when he kills the guard of a teenage re-education center. The reason why? Because the guard was abusing a young obese boy named Russell. Russell had broken free from the center and went on a rampage near the front gates. 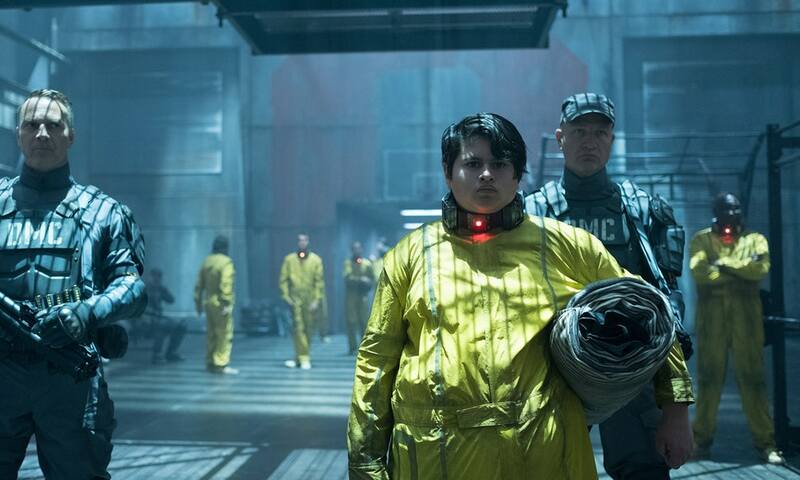 While Colossus and Negasonic would have taken a non-violent approach, Deadpool is different – especially as he blames Vanessa’s death on himself. While in the prison meant for mutants Russell is attacked by a super-soldier from the future – Cable. Deadpool fights him, more out of obligation than to protect Russell. In fact the audience won’t know for a while what motivates Cable – but the sense of loss he carries with him is similar to Deadpool’s. At least in this part of the movie the comedy feels genuine. 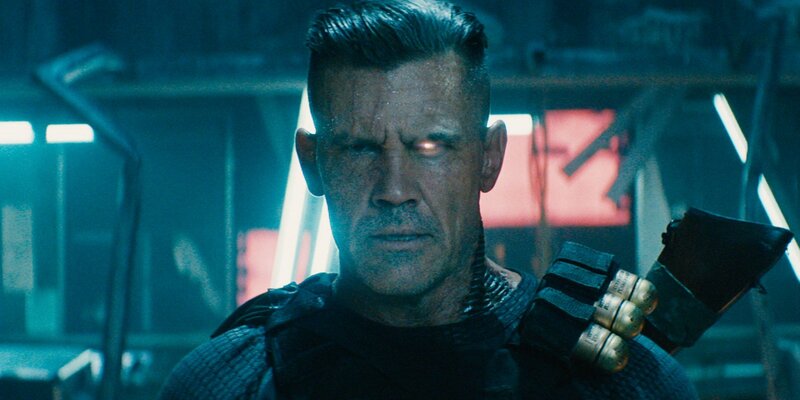 The deadpan expression brought by Josh Brolin contrasts well to the wise-cracking dialogue of Deadpool. 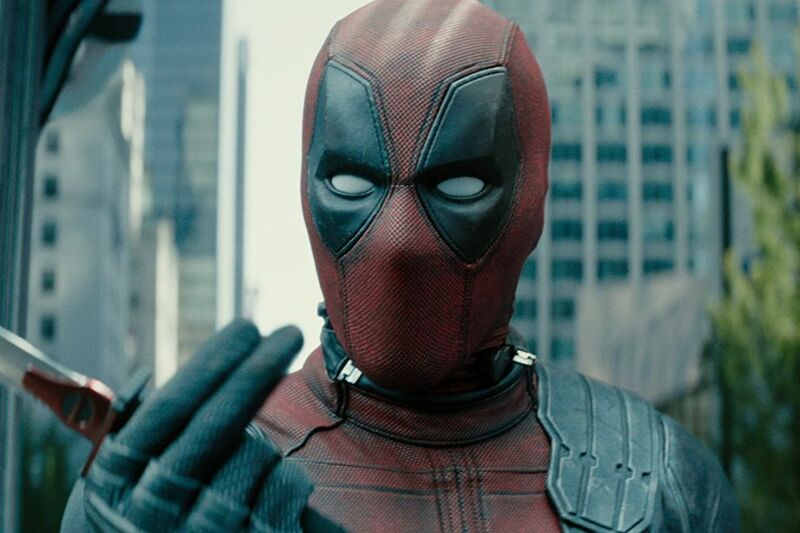 What is missing from Deadpool 2 for a long-time is a good motivation for the principal character. Vanessa’s death acts as the opposite. Finally Deadpool gets it in his head that protecting Russell may be redemption for what happened to Vanessa. Together with Dopinder and Weasel he recruits a force of off-beat mutants. In a hilarious twist most of them die in the next scene when they attempt to spring Russell free from a prison transport. This feels like a homage to Inglourious Basterds. What is more the movie is not shy from making their deaths gratuitous. Electrocution, wood chipping (is that an activity?) and helicopter blades quickly dispatch Shatterstar, Bedlam, Zeitgeist and Peter. The creative staff make it clear that this is not the movie you were expecting to see. That theme is carried over into the second half of the movie. Deadpool makes a deal with Cable after he finds out why he wants to kill Russell. You see, in the future Russell – A.K.A. Firefist – kills Cable’s family. Deadpool now does not need to save Russell – he needs to redeem him. He needs to prevent Russell from using his powers to kill people whom he thinks have harmed him. The deal with Cable is that Deadpool gets 30 seconds to change Russell when they find him. Knowing Russell has it in for the headmaster of the reeducation center they quickly put two and to together. In many ways the second half of movie feels like an attempt to repair what the first half did wrong. 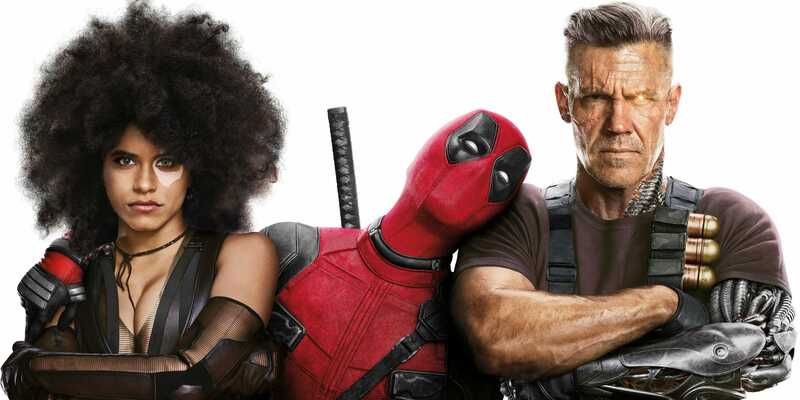 To get a team back together Deadpool recruits Colossus and Negasonic. The latter has her own side-kick / girlfriend Yukio – in a nod to Brianna Hildebrand‘s real-life sexual orientation. 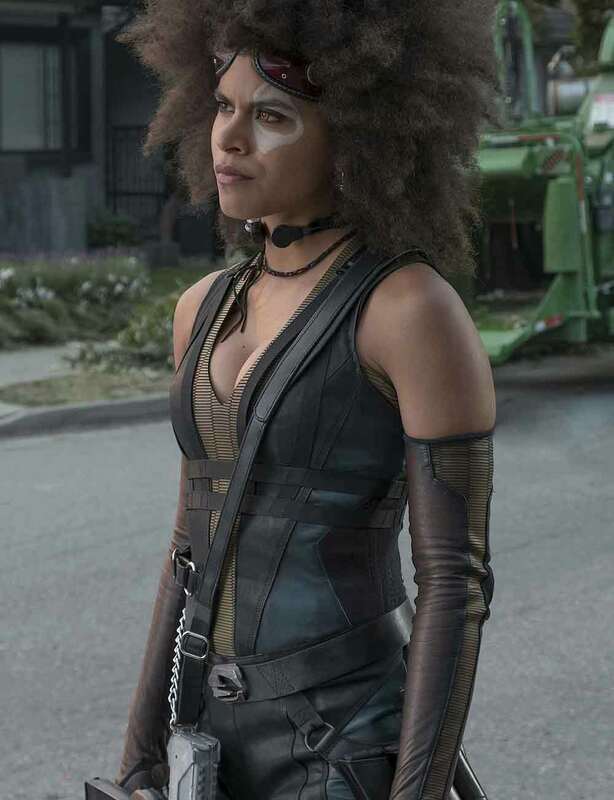 But the real life of the party is Domino – played by Zazie Beetz. Her special power is luck – and it stands in hilarious contrast with Deadpool’s unlucky activities. Domino has something of Vanessa with her as a side-kick. Zazie Beetz definitely brings a coolness factor with her. However it is not clear what motivates her character – why did she join X-force? As for the ending – it suffices to say everything turns out alright. Russell is redeemed, Cable sacrifices his ability to return to his timeline to save Deadpool and Dopinder runs over the headmaster. Whereas the theme of the first movie was love – that of the second is family, and Deadpool seems to have found his. So at the end the movie does manage to live up to the first movie, but that first half did miss the mark. All the other ingredients of the first movie: Blind Al, wonderful music, snarky dialogue and impressive chase scenes all see their boxes ticked. So what’s left? Well, during the end-credits Deadpool uses Cable’s time machine (now repaired by Negasonic) to undo Vanessa’s and Peter’s death. Also we see him shoot the Deadpool from Wolverine and Ryan Reynolds gets his head blown off before starring in The Green Lantern. So yeah, everything is back to normal for Deadpool 3. While we undoubtedly will see a third movie (possibly in 2020) I hope the story will be more refined. The sequel suffers from too many problems that sequels often have. First, the premise of the original is destroyed when the character Vanessa is killed in the beginning (spoiler alert). Secondly, the humor often falls flat. While there are plenty of gags that had me grinning, too often the humor felt overdone and not sincere. Too often I could see the writers of the jokes forcefully insert humor into a scene. The humor lacked the refined delivery of the original when Ryan Reynolds just aced the character. I suppose I was expecting a different Deadpool movie. While the sequel is a good movie it has little of the charm of the first . Because Morena Baccarin’s character is killed of in the opening (only to be resurrected in after-credits scenes) there is no chemistry between her and Ryan Reynolds.